Adjustable & Protects Cargo: Lund adjustable cargo bars are designed to control your cargo from moving or sliding. Keeping cargo in place results in added safety and less damaged cargo. For Trucks and SUVs: Lund Cargo Bars are designed for pickup trucks and suvs. They are extremely versatile and will work great on most midsize and fullsize vehicles. 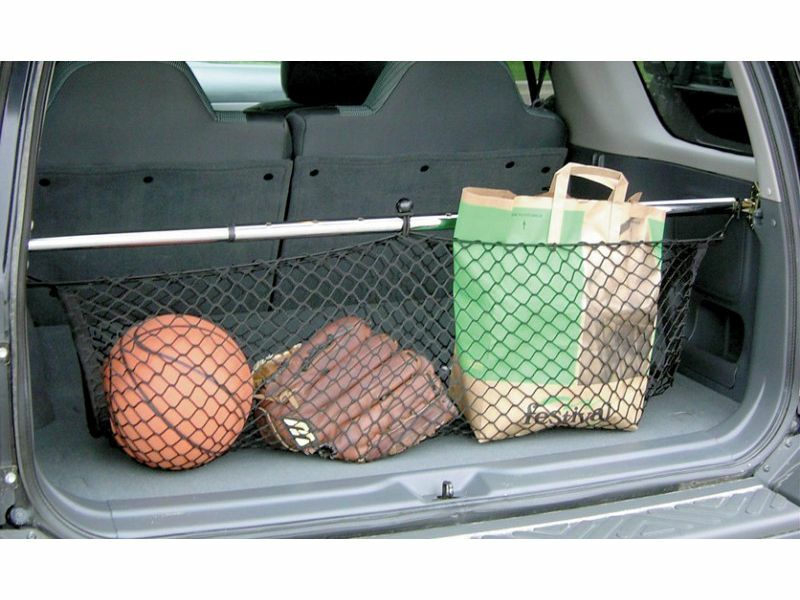 2 Styles to Choose From: Choose from: Telescoping, Ratcheting or Telescoping Cargo Bar with net. Ratcheting Cargo Bar: Ratcheting adjustment design is fully expandable from 40” to 70”. Rubber feet will not scrape cargo area and secures cargo bar tightly to wall of vehicle. Telescoping Cargo Bar with Net: Telescopic design adjusts from 47” to 70”. Rubber feet will not scrape cargo area. Comes with cargo net to hold additional gear. A Lund cargo bar is ideal for cargo management and control. The Lund cargo bar for pickup trucks and suvs help prevent cargo from shifting around in pickup beds and suvs. Lund cargo bars are built to last. All Lund products are backed by a limited lifetime warranty. Please call 1-877-216-5446 for addtitional information.